Home security innovation is reaching an all-time high in the modern world. Several different technologies have been manipulated to be used with home security systems to help homeowners better protect their homes. Cocoon is one such technology involved in this movement. Created by a team of five co-founders, Cocoon has raised over $200,000 through their crowd-funding campaign on Indiegogo. The device is rather small, fitting in the palm of your hand, and was designed to offer whole-home protection. The unique aspect of the Cocoon is that it is a single device, with no additional accessories needed. The goal of this review is to provide you with a deeper look into the Cocoon and what it can do. While it is a new technology that has not yet been released to consumers, the Cocoon team has provided plenty of information and offered extensive videos to show exactly how it works. The Cocoon is a single device that includes an HD camera, motion detection capabilities, and SUBSOUND Technology that is able to sense activity throughout your home. With the SUBSOUND Technology enabled, the device is able to offer whole-home protection for homeowners. It works by learning what is normal for your home while also developing an understanding of who should and should not be there. As of now, there is only one option when it comes to monitoring packages. The reason for this is because the device is designed to be able to protect a typical home or apartment on its own. The pricing of the Cocoon is currently set at $399, at which point you will receive the device and free access to the mobile app. Unfortunately, there are no customer reviews available at this point due to the fact that the final stages of design and production for the Cocoon have not been completed yet. Their Indiegogo campaign states that shipping to backers is estimated for April 2016, although there has been some concern about whether they can follow through with that. The real beauty of the Cocoon is with its simplicity. 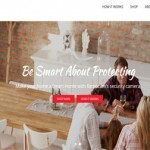 As has been mentioned, it was designed to provide whole-home protection from a single device. This means that users can simply set the device up, connect it to Wi-Fi and the mobile app, and then program the desired settings through the mobile app. This reduces the worry associated with multiple accessories or devices breaking down, which frequently happens with most other systems. It also makes for incredibly easy set up and installation. The real game changer, when it comes to the Cocoon over typical home security systems, is the SUBSOUND Technology that the device features. This technology works by listening to infrasonic sound saves and then uses machine learning to gain an understanding of what is normal for your home. From there, the creators claim that the device will be able to monitor any area of your home by detecting subnormal sounds related to doors and/or windows being opened. While this sounds like an amazing piece of technology in theory, it has yet to be determined how effective it is. While it has not yet been fully tested by users, the unique minds that combined to create Cocoon claim that the device can actually learn what is normal for families. This means it will develop an understanding of when you or your children tend to get home, therefore preventing the issue of false alarms. Once again it should be mentioned that this technology has not yet been tested with consumers. 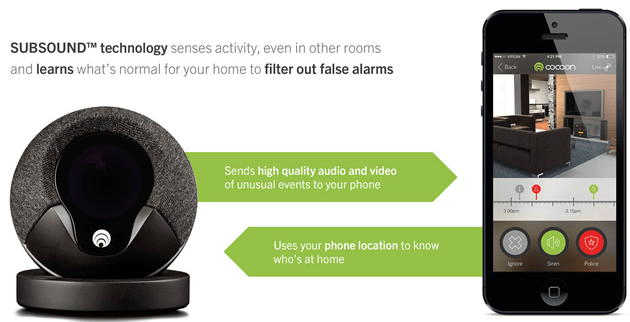 This has led to some mystery and many questions being asked, about how the SUBSOUND Technology and machine learning will work together to secure the home and prevent false alarms. Only time will tell if the Cocoon team can ensure the reliability of this technology. The motion detection capabilities allow the Cocoon to operate in the same way that most other video camera/motion detection based security systems do. The major issue with most other similar systems is that they are only able to monitor one room or area of the home. With the Cocoon, however, the combination of the motion detection capabilities with the SUBSOUND Technology enables the device to monitor the entire home. Through the mobile app, Cocoon users are able to do customize their settings, view live streaming video in HD, or even utilize the two-way audio features. The app uses bank level encryption, allows you to set emergency contacts for immediate notification of issues, and even lets you record video to the cloud. 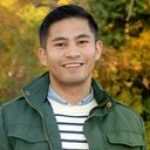 While it is impossible to say exactly how well the mobile app works, early reports of the included features have many users excited about exactly what it can do. With Cocoon, you are able to connect the device to each family member’s mobile phone. 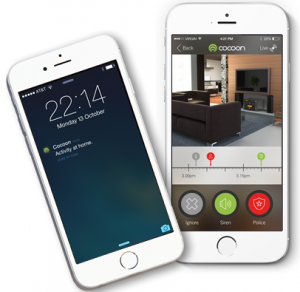 From there, Cocoon will use smartphone location to know who is and is not home. That means there will never be a need to arm or disarm it as it will already know when to be on high alert. While Cocoon is not yet available to consumers, we would love to hear from first users when it does become available. Simply report your experience in our review section and let the world know what you think of this unique and innovative home security device. As for now, feel free to take a look at some of the other great home security system reviews we have. Features SubSound Technology which able to sense the normal activity from your home. Provides intelligent notifications when your away from home and can even detect each family member's location. Reliability has not been proven since it has not yet been tested with customers. 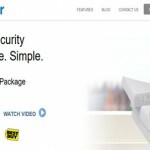 Korner Review: Easy Home Security For Under $100 - Too Good To Be True?